Hello everyone! I have a 3 giveaway in October! Too much huh? 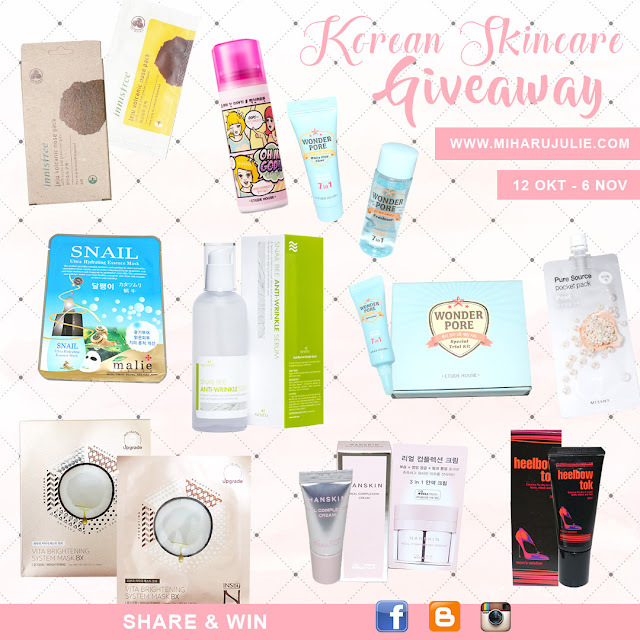 First is Korean Skincare Giveaway (THIS GIVEAWAY IS OPEN INTERNATIONALLY) and Another one from Mukka Kosmetik (INDONESIA ONLY). So i hope everyone can join but remember you must be one of my follower to join. You can share the photo everyday to get more points, people with more points have a greater chance of winning. The winners will be announced via email and on @MiharuJulie Twitter and Miharu Julie Blog Facebook. If winner doesn't respond within 2 day, a new winner will be selected. 5. 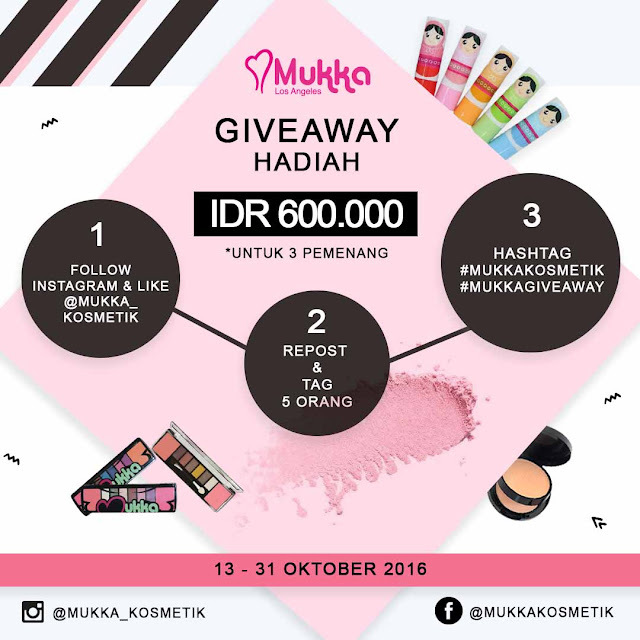 Jangan lupa gunakan hashtag #MukkaKosmetik dan #MukkaGiveaway agar bisa di cek postingannya. Good luck ladies. 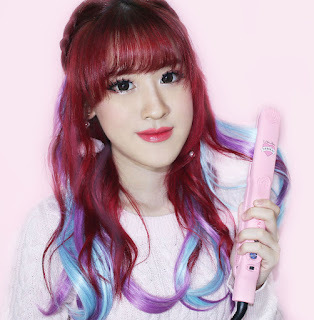 Kalian boleh langsung Join ke 3 Giveaway nya! I have followed you via GFC as you wrote on my blog, follow back? Great giveaway,Good luck every one.